Helping people to get into making is at the heart of what we do, and so we’ve created a brand-new, free online course to support educators to start their own makerspaces. 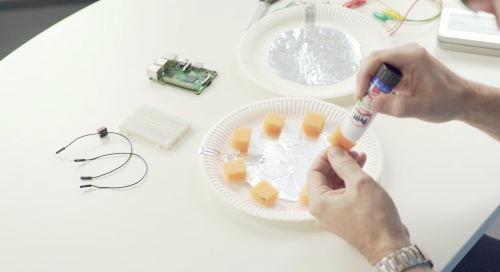 If you’re interested in the maker movement, then this course is for you! 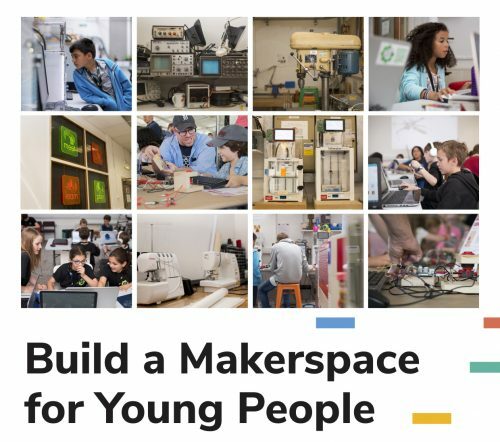 Sign up now and start learning with Build a Makerspace for Young People on FutureLearn. From planning to execution, this course will cover everything you need to know to set up and lead your very own makerspace. You’ll learn about different approaches to designing makerspace environments, understand the pedagogy that underpins the maker movement, and create your own makerspace action plan. By the end of the course, you will be well versed in makerspace culture, and you’ll have the skills and knowledge to build a successful and thriving makerspace in your community. This new course features five fantastic case studies about real-life makerspace educators. They’ll share their stories of starting a makerspace: what worked, what didn’t, and what’s next on their journey. 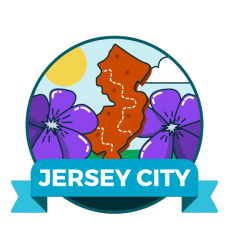 Hear from Jessica Simons as she describes her experience starting the MCHS Maker Lab, connect with Patrick Ferrell as he details his teaching at the Jocelyn H. Lee Innovation Lab, and learn from Nick Provenzano as he shares his top tips on how to ensure the legacy of your makerspace. These accomplished educators will give you their practical advice and expert insights, helping you learn the best practices of starting a makerspace environment. By taking this course, you’ll also be connecting with talented and like-minded educators from across the globe. This is your opportunity to develop a community of practice while learning from fellow teachers, librarians, and community leaders who are also engaged in the maker movement. The first run of our Build a Makerspace for Young People course starts on 12 March 2018. 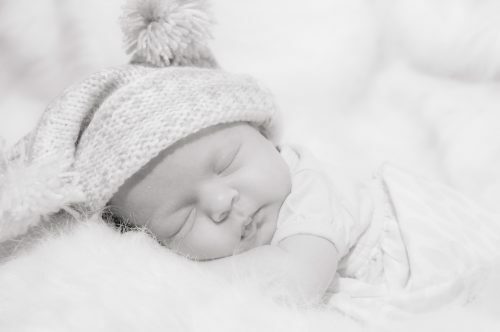 You can sign up and access all content for four weeks. After that period, we’ll run the course again multiple times throughout the year. 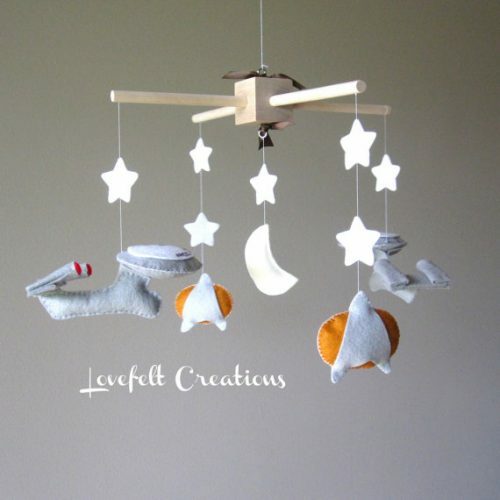 Enjoy, and happy making! The post New free online course about building makerspaces appeared first on Raspberry Pi. With the launch of our first new free online course of 2018 — Scratch to Python: Moving from Block- to Text-based Programming — two weeks away, I thought this would be a great opportunity to introduce you to the ins and outs of the course content so you know what to expect. 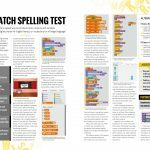 Learn how to apply the thinking and programming skills you’ve learnt in Scratch to text-based programming languages like Python. 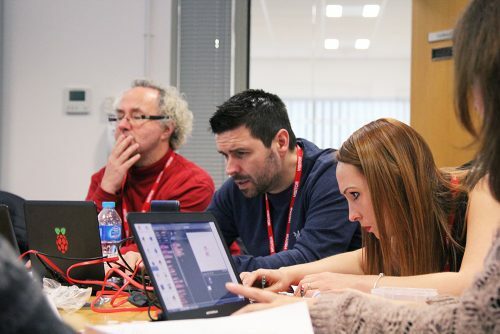 However, on our face-to-face training programme Picademy, educators told us that they were finding it hard to engage children who had outgrown Scratch and needed a new challenge. It was easy for me to imagine: a young learner, who once felt confident about programming using Scratch, is now confused by the alien, seemingly awkward interface of Python. What used to take them minutes in Scratch now takes them hours to code, and they start to lose interest — not a good result, I’m sure you’ll agree. 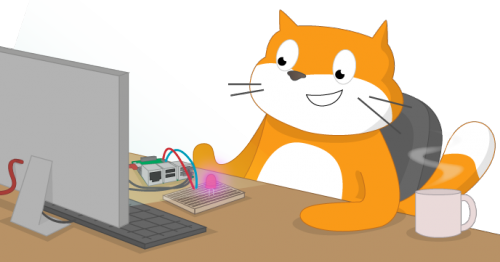 I wanted to help educators to navigate this period in their learners’ development, and so I’ve written a course that shows you how to take the programming and thinking skills you and your learners have developed in Scratch, and apply them to Python. Educators from all backgrounds who are working with secondary school-aged learners. 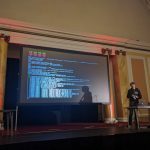 It will also be interesting to anyone who has spent time working with Scratch and wants to understand how programming concepts translate between different languages. After showing you the similarities and differences of Scratch and Python, and how the skills learned using one can be applied to the other, we will look at turning more complex Scratch scripts into Python programs. Through creating a Mad Libs game and developing a username generator, you will see how programs can be simplified in a text-based language. 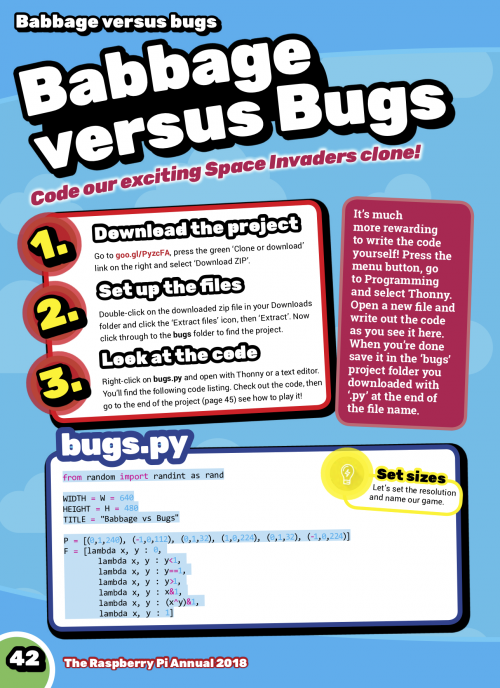 We will give you our top tips for debugging Python code, and you’ll have the chance to share your ideas for introducing more complex programs to your students. After that, we will look at different data types in Python and write a script to calculate how old you are in dog years. 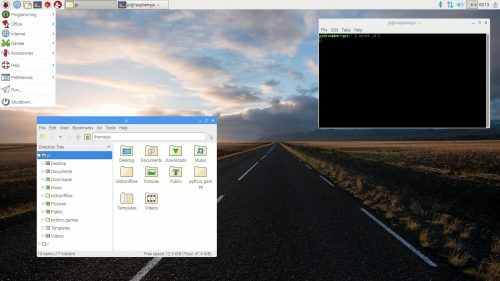 Finally, you’ll dive deeper into the possibilities of Python by installing and using external Python libraries to perform some amazing tasks. The free four-week course starts on 12 March 2018, and you can sign up now on FutureLearn. 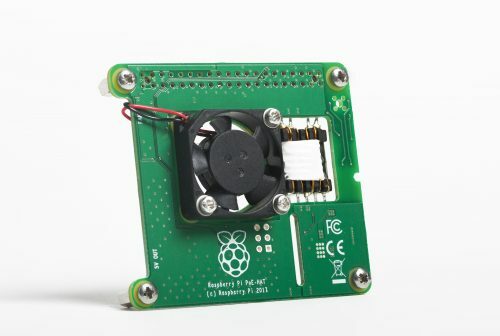 While you’re there, be sure to check out our other free courses, such as Prepare to Run a Code Club, Teaching Physical Computing with a Raspberry Pi and Python, and our second new course Build a Makerspace for Young People — more information on it will follow in tomorrow’s blog post. 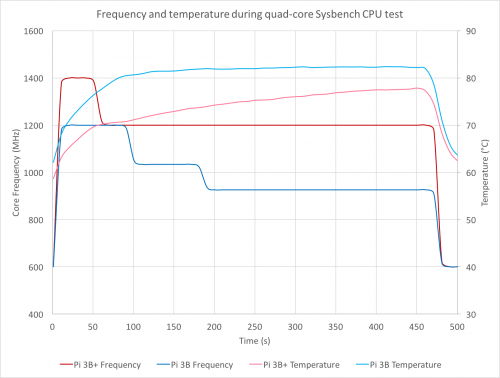 The post Transition from Scratch to Python with FutureLearn appeared first on Raspberry Pi. Cue the lights! Cue the music! 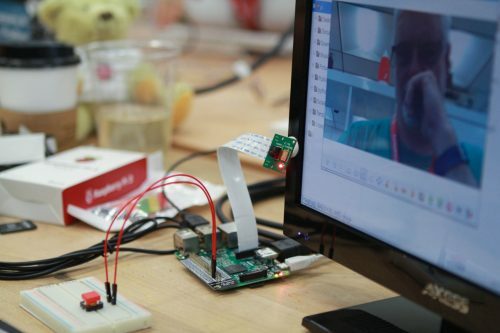 Picademy is back for another year stateside. 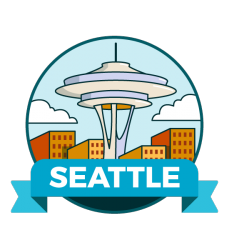 We’re excited to bring our free computer science and digital making professional development program for educators to four new cities this summer — you can apply right now. We’re thrilled to kick off our 2018 season! 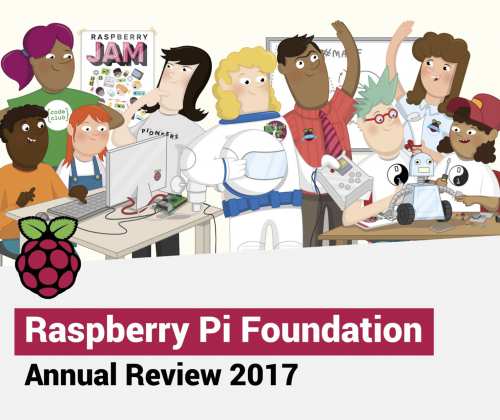 Before we get started, let’s take a look back at our community’s accomplishments in the 2017 Picademy North America season. 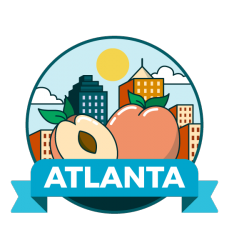 Last year, we partnered with four awesome venues to host eight Picademy events in the United States. At every event across the country, we met incredibly talented educators passionate about bringing digital making to their learners. 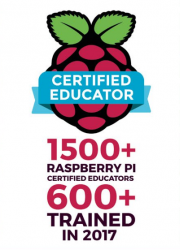 Whether it was at Ann Arbor District Library’s makerspace, UC Irvine’s College of Engineering, or a creative community center in Boise, Idaho, we were truly inspired by all our Picademy attendees and were thrilled to welcome them to the Raspberry Pi Certified Educator community. The 2017 Picademy cohorts were a diverse bunch with a lot of experience in their field. We welcomed more than 300 educators from 32 U.S. states and 10 countries. They were a mix of high school, middle school, and elementary classroom teachers, librarians, museum staff, university lecturers, and teacher trainers. 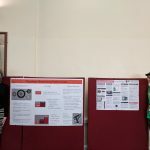 More than half of our attendees were teaching computer science or technology already, and over 90% were specifically interested in incorporating physical computing into their work. 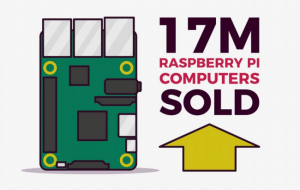 Picademy has a strong and lasting impact on educators. Over 80% of graduates said they felt confident using Raspberry Pi after attending, and 88% said they were now interested in leading a digital making event in their community. 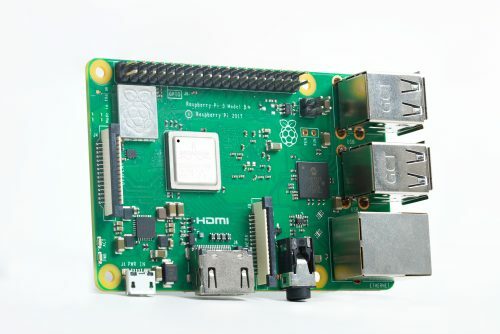 To showcase two wonderful examples of this success: Chantel Mason led a Raspberry Pi workshop for families and educators in her community in St. Louis, Missouri this fall, and Dean Palmer led a digital making station at the Computer Science for Rhode Island Summit in December. 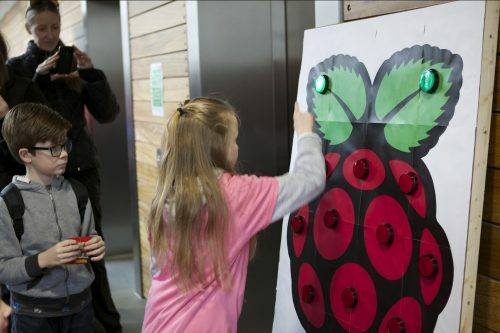 This year, we’re partnering with four new venues to host our Picademy season. 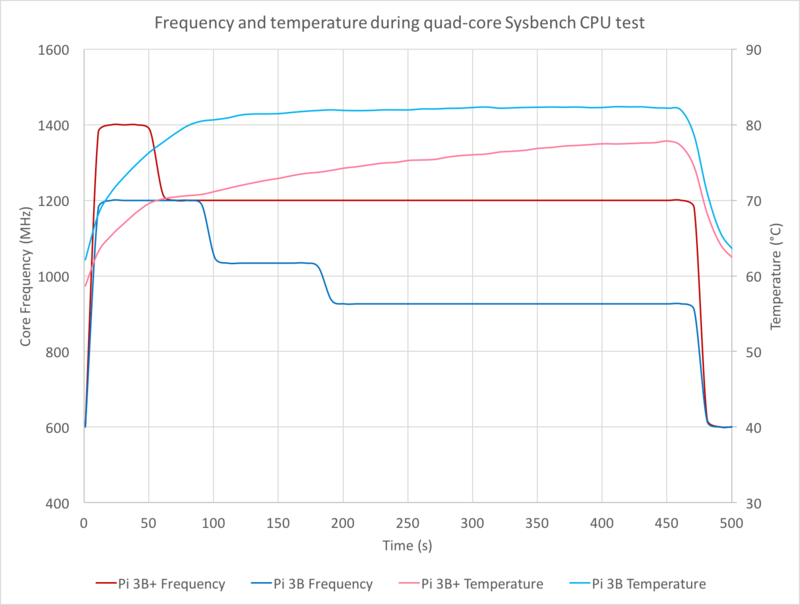 We’ll be at mindSpark Learning in Denver the first week in June, at Liberty Science Center in Jersey City later that month, at Georgia Tech University in Atlanta in mid-July, and finally at the Living Computer Museum in Seattle the first week in August. A big thank you to each of these venues for hosting us and supporting our free educator professional development program! 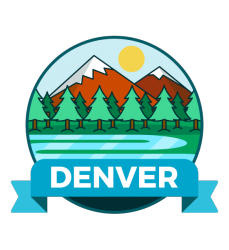 Ready to join us for Picademy 2018? 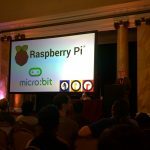 Learn more and apply now: rpf.io/picademy2018. 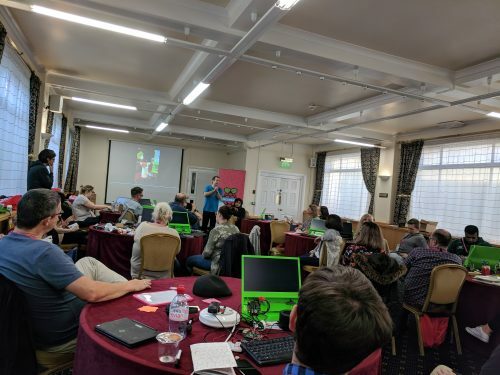 The post 2018 Picademy dates in the United States appeared first on Raspberry Pi. Another new year brings with it thoughts of setting goals and targets. 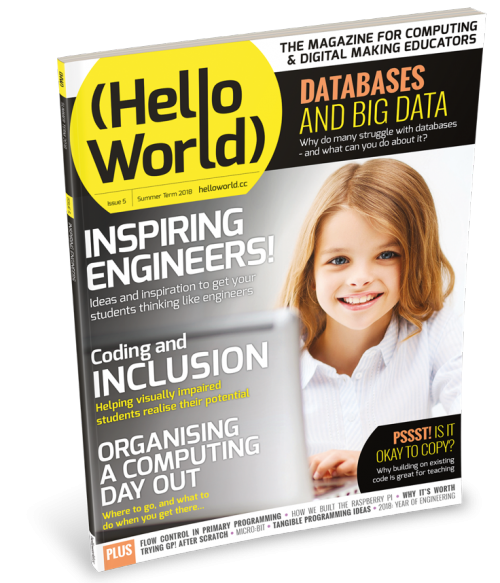 Thankfully, there is a new issue of Hello World packed with practical advise to set you on the road to success. 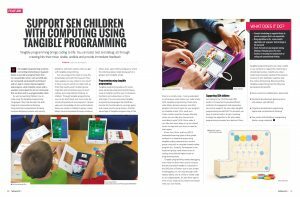 Hello World is our magazine about computing and digital making for educators, and it’s a collaboration between the Raspberry Pi Foundation and Computing at School, which is part of the British Computing Society. 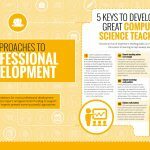 In issue 4, our international panel of educators and experts recommends approaches to continuing professional development in computer science education. With recommendations for more professional development in the Royal Society’s report, and government funding to support this, our cover feature explores some successful approaches. In addition, the issue is packed with other great resources, guides, features, and lesson plans to support educators. 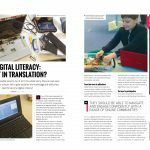 Digital Literacy: Lost in Translation? Hello World is available as a free Creative Commons download for anyone around the world who is interested in computer science and digital making education. You can get the latest issue as a PDF file straight from the Hello World website. 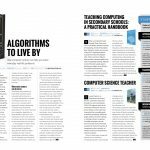 Thanks to the very generous sponsorship of BT, we are able to offer free print copies of the magazine to serving educators in the UK. 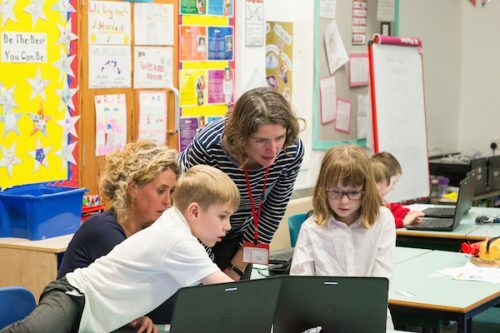 It’s for teachers, Code Club volunteers, teaching assistants, teacher trainers, and others who help children and young people learn about computing and digital making. So remember to subscribe to have your free print magazine posted directly to your home — 6000 educators have already signed up to receive theirs! Could you write for Hello World? 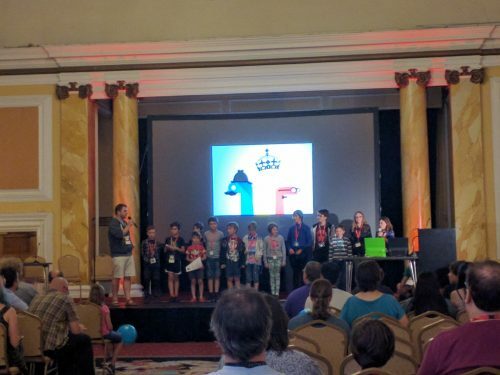 By sharing your knowledge and experience of working with young people to learn about computing, computer science, and digital making in Hello World, you will help inspire others to get involved. 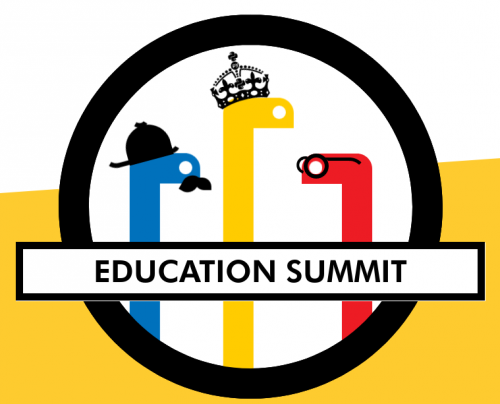 You will also help bring the power of digital making to more and more educators and learners. The computing education community is full of people who lend their experience to help colleagues. Contributing to Hello World is a great way to take an active part in this supportive community, and you’ll be adding to a body of free, open-source learning resources that are available for anyone to use, adapt, and share. It’s also a tremendous platform to broadcast your work: Hello World digital versions alone have been downloaded more than 50000 times! Wherever you are in the world, get in touch with us by emailing our editorial team about your article idea. 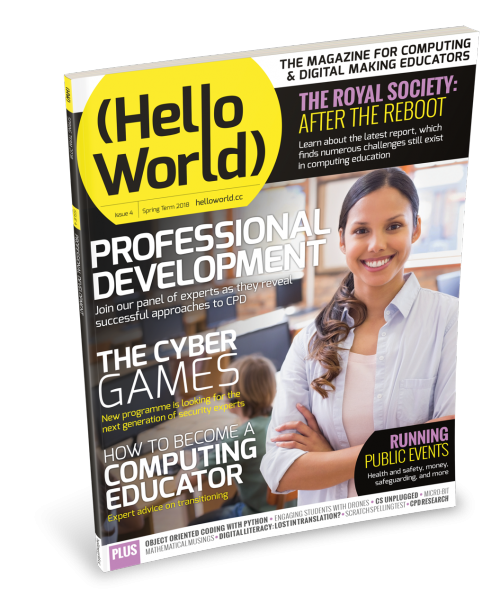 The post Hello World Issue 4: Professional Development appeared first on Raspberry Pi. 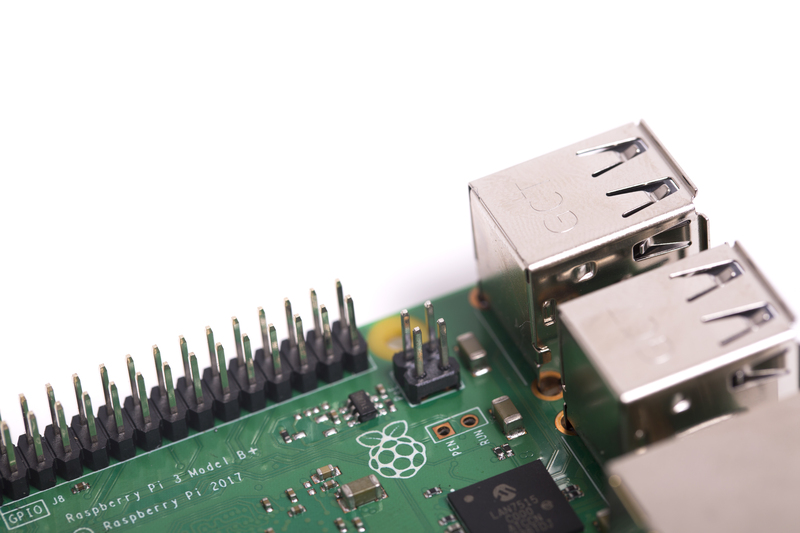 Prepare to run a Code Club with our newest free online course, available now on FutureLearn! Today we’re launching our latest free online course on FutureLearn, dedicated to training and supporting new Code Club volunteers. It will give you practical guidance on all things Code Club, as well as a taste of beginner programming! Split over three weeks and running for 3–4 hours in total, the course provides hands-on advice and tips on everything you need to know to run a successful, fun, and educational club. The course is available wherever you live, and it is completely free — sign up now! If you’re already a volunteer, the course will be a great refresher, and a chance to share your insights with newcomers. Moreover, it is also useful for parents and guardians who wish to learn more about Code Club. Interested in learning more? You can start the course today by visiting FutureLearn. 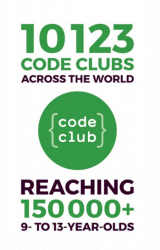 And to find out more about Code Clubs in your country, visit Code Club UK or Code Club International. 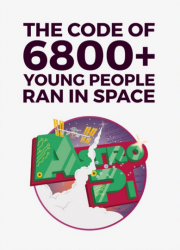 We love hearing your Code Club stories! 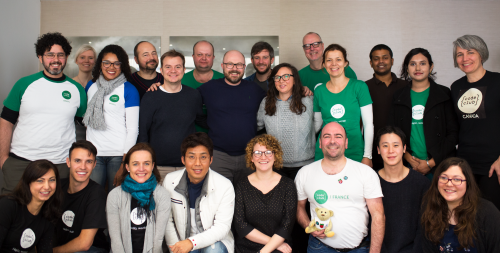 If you’re a volunteer, are in the process of setting up a club, or are inspired to learn more, share your story in the comments below or via social media, making sure to tag @CodeClub and @CodeClubWorld. 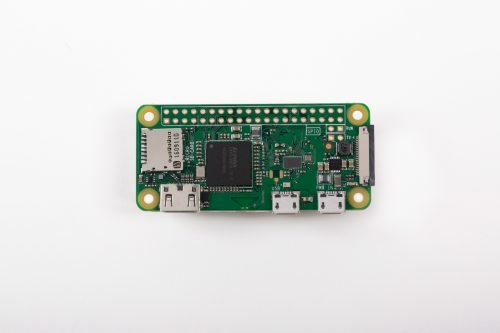 You might also be interested in our other free courses on the FutureLearn platform, including Teaching Physical Computing with Raspberry Pi and Python and Teaching Programming in Primary Schools. 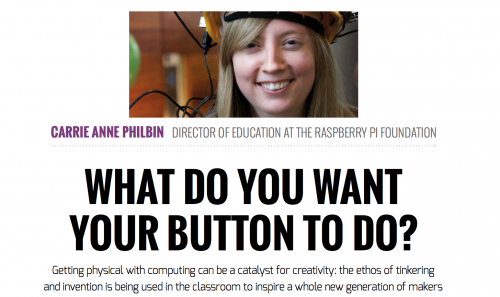 The post Prepare to run a Code Club on FutureLearn appeared first on Raspberry Pi. Learn about using switches and programming GPIO pins while you prank your friends with the Raspberry Pi-powered whoopee WhooPi Cushion! You might remember Carrie Anne and me showing off the WhooPi Cushion live on Facebook last year. The project was created as a simple proof of concept during a Pi Towers maker day. However, our viewers responded so enthusastically that we set about putting together a how-to resource for it. 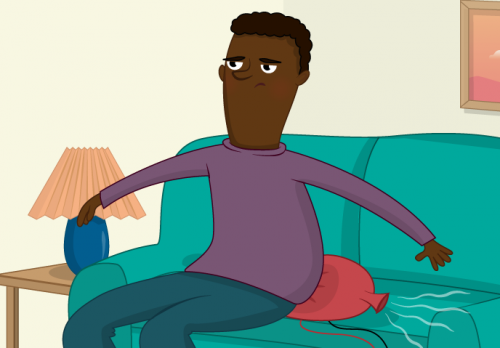 When we made the resource available, it turned out to be so popular that we decided to include the project in one of our first FutureLearn courses and produced a WhooPi Cushion video tutorial to go with it. Our FutureLearn course attendees love the video, so last week we uploaded it to YouTube! Now everyone can follow along with James Robinson to make their own WhooPi Cushion out of easy-to-gather household items such as tinfoil, paper plates, and spongy material. Once you’ve completed your prank cushion, you’ll have learnt new skills that you can incorporate into other projects. 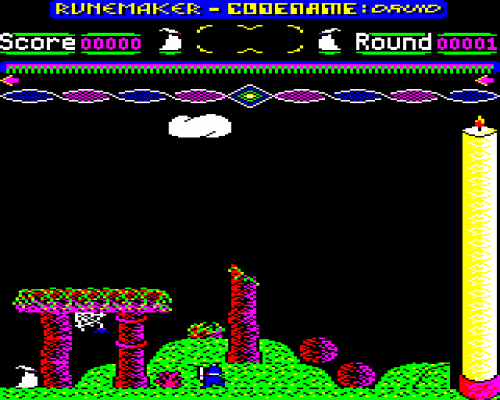 For example, you’ll know how to program an action in response to a button press — so how about playing a sound when the button is released instead? 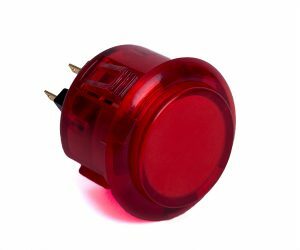 Just like that, you’ll have created a simple pressure-based alarm system. Or you could upgrade the functionality of the cushion by including a camera that takes a photo of your unwitting victim’s reaction! 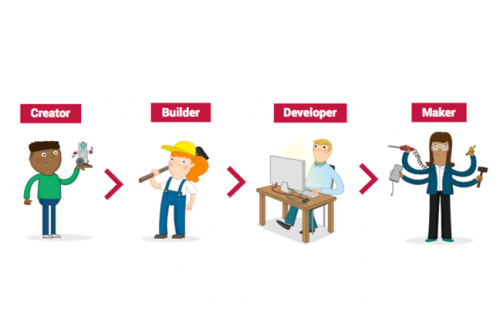 Building upon your skills to increase your knowledge of programming constructs and manufacturing techniques is key to becoming a digital maker. 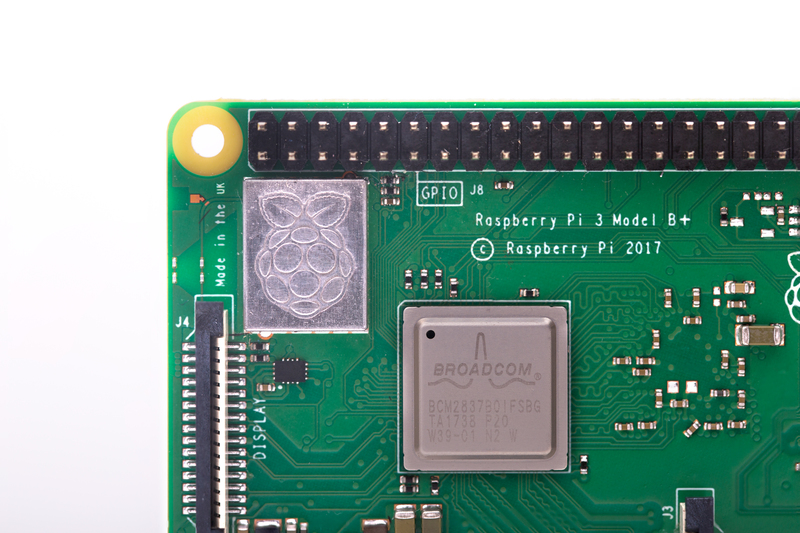 When you use the free Raspberry Pi resources, you’re also working through our digital curriculum, which guides you on this learning journey. 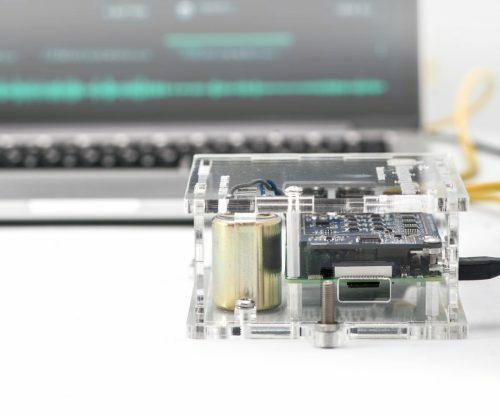 Our FutureLearn courses are completely free and cover a variety of topics and skills, including object-oriented programming and teaching physical computing. Regardless of your location, you can learn with us online to improve your knowledge of teaching digital making as well as your own hands-on digital skill set. The post Prank your friends with the WhooPi Cushion appeared first on Raspberry Pi. Without a doubt, YouTube is one of the most important websites available on the Internet today. Its massive archive of videos brings pleasure to millions on a daily basis but its centralized nature means that owner Google always exercises control. Over the years, people have looked to decentralize the YouTube concept and the latest project hoping to shake up the market has a particularly interesting player onboard. 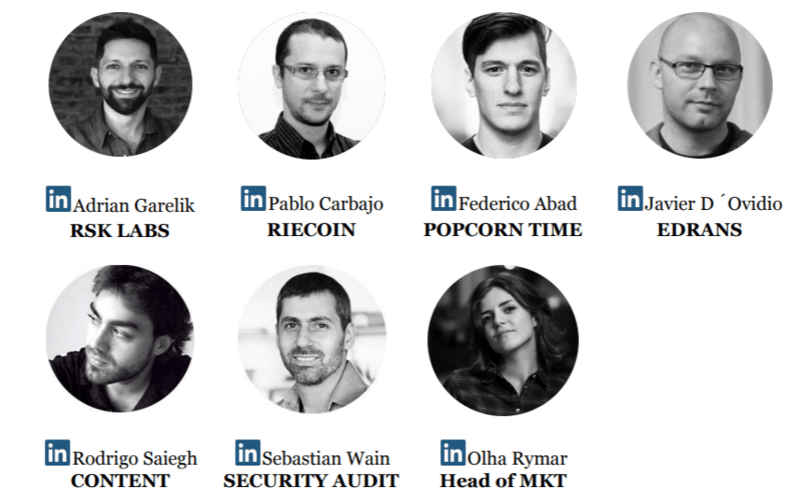 Until 2015, only insiders knew that Argentinian designer Federico Abad was actually ‘Sebastian’, the shadowy figure behind notorious content sharing platform Popcorn Time. Now he’s part of the team behind Flixxo, a BitTorrent and blockchain-powered startup hoping to wrestle a share of the video market from YouTube. Here’s how the team, which features blockchain startup RSK Labs, hope things will play out. The Flixxo network will have no centralized storage of data, eliminating the need for expensive hosting along with associated costs. Instead, transfers will take place between peers using BitTorrent, meaning video content will be stored on the machines of Flixxo users. 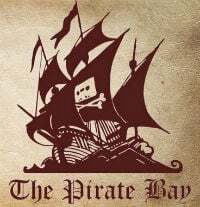 In practice, the content will be downloaded and uploaded in much the same way as users do on The Pirate Bay or indeed Abad’s baby, Popcorn Time. 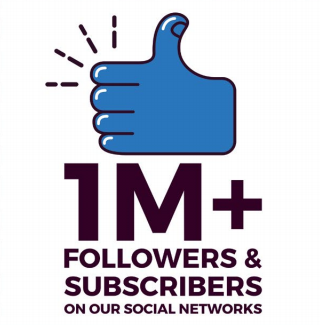 However, there’s a twist to the system that envisions content creators, content consumers, and network participants (seeders) making revenue from their efforts. 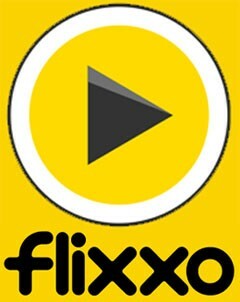 At the heart of the Flixxo system are digital tokens (think virtual currency), called Flixx. These Flixx ‘coins’, which will go on sale in 12 days, can be used to buy access to content. Creators can also opt to pay consumers when those people help to distribute their content to others. “Free from structural costs, producers can share the earnings from their content with the network that supports them,” the team explains. In addition to earning tokens from helping to distribute content, people in the Flixxo ecosystem can also earn currency by watching sponsored content, i.e advertisements. While in a traditional system adverts are often considered a nuisance, Flixx tokens have real value, with a promise that users will be able to trade their Flixx not only for videos, but also for tangible and semi-tangible goods. “Use your Flixx to reward the producers you follow, encouraging them to create more awesome content. Or keep your Flixx in your wallet and use them to buy a movie ticket, a pair of shoes from an online retailer, a chest of coins in your favourite game or even convert them to old-fashioned cash or up-and-coming digital assets, like Bitcoin,” the team explains. The Flixxo team have big plans. After foundation in early 2016, the second quarter of 2017 saw the completion of a functional alpha release. In a little under two weeks, the project will begin its token generation event, with new offices in Los Angeles planned for the first half of 2018 alongside a premiere of the Flixxo platform. “A total of 1,000,000,000 (one billion) Flixx tokens will be issued. A maximum of 300,000,000 (three hundred million) tokens will be sold. Some of these tokens (not more than 33% or 100,000,000 Flixx) may be sold with anticipation of the token allocation event to strategic investors,” Flixxo states. Like all content platforms, Flixxo will live or die by the quality of the content it provides and whether, at least in the first instance, it can persuade people to part with their hard-earned cash. 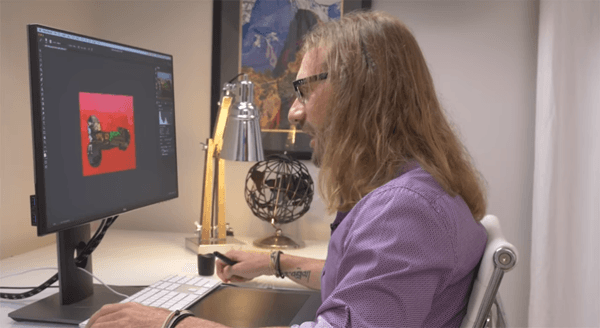 Only time will tell whether its content will be worth a premium over readily accessible YouTube content but with much-reduced costs, it may tempt creators seeking a bigger piece of the pie. “Flixxo will also educate its community, teaching its users that in this new internet era value can be held and transferred online without intermediaries, a value that can be earned back by participating in a community, by contributing, being rewarded for every single social interaction,” the team explains. Of course, the elephant in the room is what will happen when people begin sharing copyrighted content via Flixxo. Certainly, the fact that Popcorn Time’s founder is a key player and rival streaming platform Stremio is listed as a partner means that things could get a bit spicy later on. Nevertheless, the team suggests that piracy and spam content distribution will be limited by mechanisms already built into the system. “[A]uthors have to time-block tokens in a smart contract (set as a warranty) in order to upload content. This contract will also handle and block their earnings for a certain period of time, so that in the case of a dispute the unfair-uploader may lose those tokens,” they explain. At this point, things start to become a little unclear. On the one hand Flixxo says it could become a “revolutionary tool for uncensorable and untraceable media” yet on the other it says that it’s necessary to ensure that adult content, for example, isn’t seen by kids. “We know there is a thin line between filtering or curating content and censorship, and it is a fact that we have an open network for everyone to upload any content. However, Flixxo as a platform will apply certain filtering based on clear rules – there should be a behavior-code for uploaders in order to offer the right content to the right user,” Flixxo explains. To this end, Flixxo says it will deploy a centralized curation function, carried out by 101 delegates elected by the community, which will become progressively decentralized over time. “This curation will have a cost, paid in Flixx, and will be collected from the warranty blocked by the content uploaders,” they add. There can be little doubt that if Flixxo begins ‘curating’ unsuitable content, copyright holders will call on it to do the same for their content too. And, if the platform really takes off, 101 curators probably won’t scratch the surface. There’s also the not inconsiderable issue of what might happen to curators’ judgment when they’re incentivized to block curate content. Finally, for those sick of “not available in your region” messages, there’s good and bad news. Flixxo insists there will be no geo-blocking of content on its part but individual creators will still have that feature available to them, should they choose.